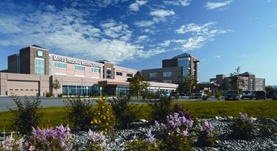 Doctor Bradley Cruz graduated the medical school at the University of Nevada, in 1981. He completed two residencies, one in radiology and one in pediatrics, both of them at David Grant Medical Center. 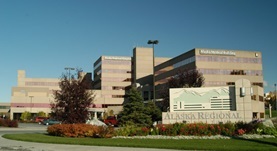 He is board certified in pediatric and diagnostic radiology and is currently affiliated with Alaska Regional Hospital in Anchorage, Alaska and Mat-Su Regional Medical Center in Palmer. Together with Dale E. Collins and Gail M. Hosiko, Dr. Bradley Cruz wrote an article entitled “ Sonography in Malawi “ that was published in Radiol Technol on the 1st of March 2009. He is also a member of multiple medical associations, such: Society of Pediatric Radiology, Society of Nuclear Medicine, American Roentgen Ray Society and American College of Radiology. In his medical career that exceeds 35 years of activity, he never had a malpractice case reported. Dr. Bradley Cruz has contributed to 1 publications. Collins, D.E., Cruz, B.K., Hosiko, G.M. ; Radiol Technol. 2009-03-01.